If you’re going to begin a conversation with “The Lord told me,” you’d better be dern tootin’ you heard right. Those words always put me on high alert. It’s not that I think God cannot or will not speak to us directly, but I realize the weight that comes with making such a proclamation. Either God has something He wants us to hear or the person making that statement wants to us to believe that He does, and it’s not always easily discernible which is the case. I find it disheartening that anyone would use the name of the Lord in order to get their way. He is not a bargaining chip to be tossed on the table when circumstances are not as one desires. But His name adds a certain power that makes it tempting to use because you know if you do, people are going to listen up. Many times I have overheard my little girls arguing over something trivial and one will yell, “but Mommy said!” They know that their best chance of winning the argument is by claiming to have someone with more authority on their side. The same case can be made when someone uses God’s name a little too frequently, especially in the midst of a battle. I took my concerns over this to my husband and he had, yet again, an excellent idea. When someone gives you a message with the preface “God told me,” (or any variation thereof), kindly ask them if they can point you to Scripture that lines up with what they’ve just told you. God will never send you a word that doesn’t line up with His. When I was a baby Christian, I was horribly intimidated by people who spoke of God in this manner. I thought, surely they have a direct line to Jesus and I can never measure up so I should hang on their every word and do everything they say. Thankfully, those days are over for me and I have learned to weigh people’s “words” against God’s. I think it would do us all good to take it to prayer anytime we find ourselves in these situations. You do not have to take someone at their word simply because they brought His name into it. 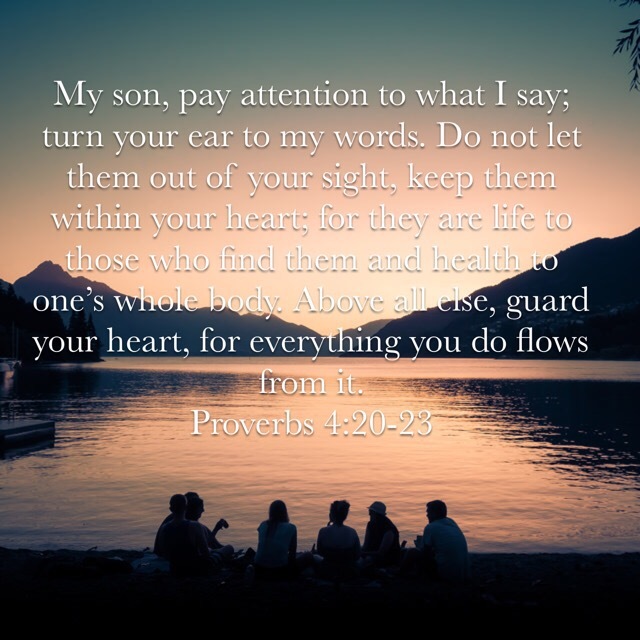 It is our responsibility to guard our hearts and minds and prayerfully consider what we allow in.